18 acres currently rented with corn crop to be harvested this fall. Property is irregular with road frontage on Goodrich Rd. and runs north up along Locust St.. Slightly slope. 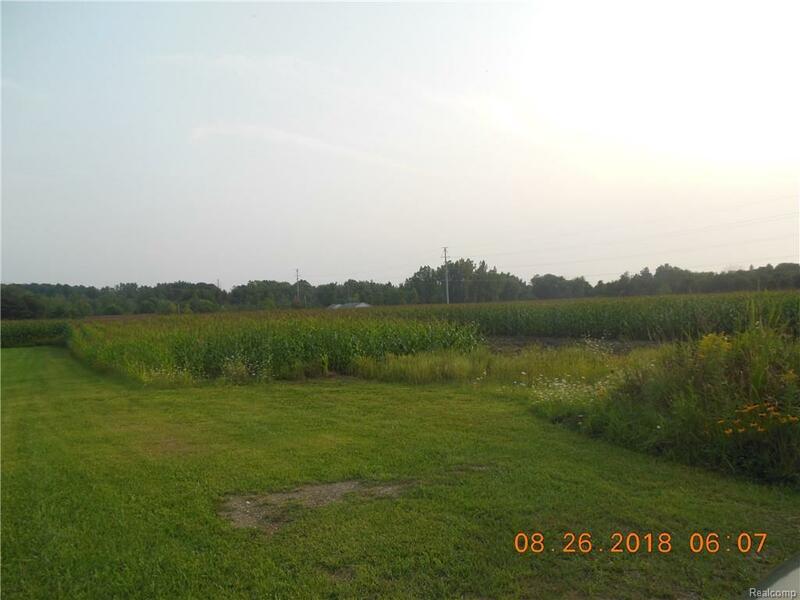 Seller is willing to work with land contract terms. © 2019 Ann Arbor Area Association of Realtors Multiple Listing Service. All rights reserved. IDX information is provided exclusively for consumers' personal, non-commercial use and may not be used for any purpose other than to identify prospective properties consumers may be interested in purchasing. Information is deemed reliable but is not guaranteed accurate by the MLS or The Toth Team - Keller Williams Ann Arbor Market Center. Data last updated: 2019-04-24T13:13:52.757.